Daily Beat - Fanspeak - Voice Your Passion! 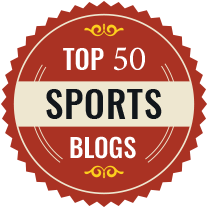 Now you have a one-stop place for NBA news from all the top beat writers for all 30 teams! Use the expand/collapse to see each division. Links to the beat writer’s pages and Twitter accounts are provided as well as most recent stories and tweets. Whether you’re a daily fantasy player or just a diehard NBA fan, this can give you the latest news about lineup changes, player’s health, team transactions, news & more!